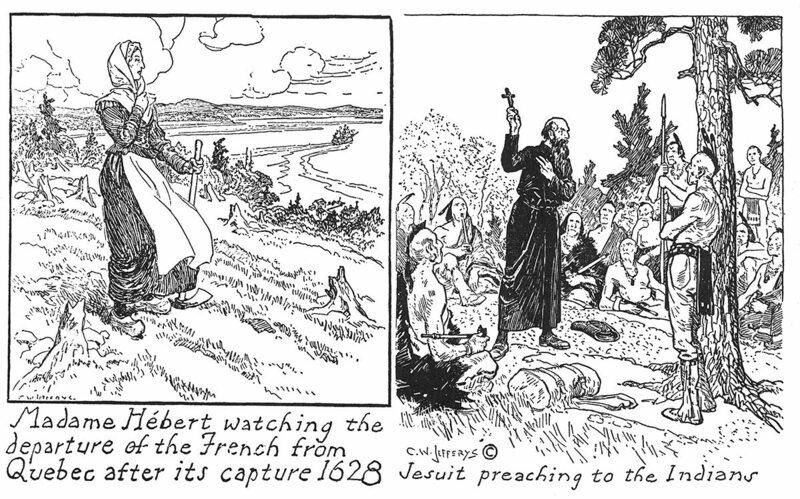 The conversion of the Indians to Christianity was one of the earliest and most important objects of the French in Canada. Champlain, who was sincerely pious, declared that the salvation of one soul was of more value than the conquest of an empire. He pleaded for missionaries, and in response to his appeal, priests of the Recollet branch of the Order of St. Francis came to Canada in 1615. 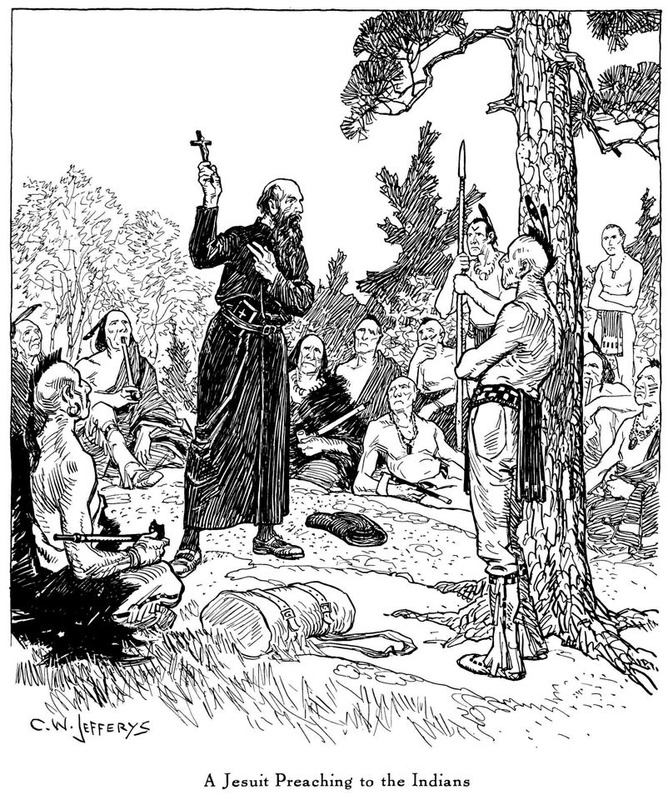 For ten years these Franciscan friars laboured among the Indians, not only in Huronia, but in Acadia, and on the Lower St. Laurence and the Ottawa. But they found the field too large for the resources of their Order, and in 1625 they begged the assistance of the great missionary Society of Jesus in the work. 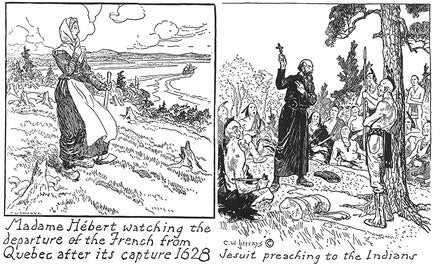 In June of that year three Jesuit priests and two lay brothers arrived in Canada, the first of these black-robed missionaries who for many years toiled with unflinching courage and patience among the savage tribes. Their work covered all the country, from the Atlantic coast to the western prairies, and from Hudson Bay to the Gulf of Mexico. Wherever the explorer and the fur-trader went, there, too, went the Jesuit priest. Many of them were of gentle birth, men of culture and learning and refinement of manners: but in devotion to their cause they lived in the filthy villages of the Indians in discomfort and loneliness, learning their languages, preaching the gospel, visiting the sick and dying, enduring all the privations of long and toilsome journeys. They were in constant peril, many were broken in health by the life of exposure. Others suffered indescribable tortures that ended in a martyr's death. 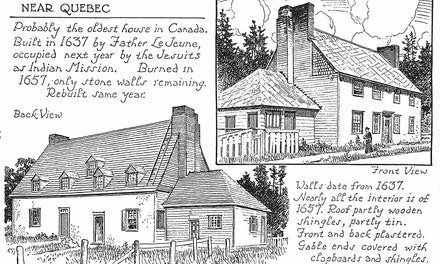 The story of the Jesuit missions in Canada is one of unsurpassed heroism and devotion. Paterson, Gilbert. The Story of Britain and Canada.